This open access brief introduces the basic principles of control theory in a concise self-study guide. It complements the classic texts by emphasizing the simple conceptual unity of the subject. A novice can quickly see how and why the different parts fit together. The concepts build slowly and naturally one after another, until the reader soon has a view of the whole. Each concept is illustrated by detailed examples and graphics. 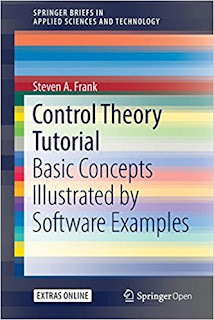 The full software code for each example is available, providing the basis for experimenting with various assumptions, learning how to write programs for control analysis, and setting the stage for future research projects. The topics focus on robustness, design trade-offs, and optimality. Most of the book develops classical linear theory. The last part of the book considers robustness with respect to nonlinearity and explicitly nonlinear extensions, as well as advanced topics such as adaptive control and model predictive control. 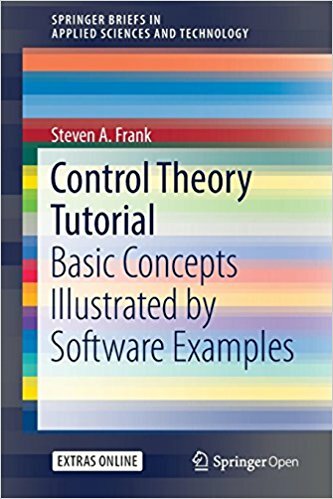 New students, as well as scientists from other backgrounds who want a concise and easy-to-grasp coverage of control theory, will benefit from the emphasis on concepts and broad understanding of the various approaches.